Navy corpsman David Lewis Boucher, 22, of Shelbyville, Tenn.,(left) and Marine Staff Sgt. Ruben Santos treat Pvt. William Vizzerra, 21, Phoenix, Ariz., near the crest of Hill 881 N. The Hill was one of several strategically important hills surrounding Khe Sahn in western Quang Tri Province in Vietnam's I Corps. 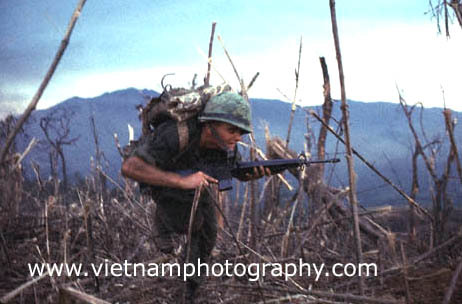 The fighting between the Marines and North Vietnamese Army (NVA) regulars took place on April 30, 1967. 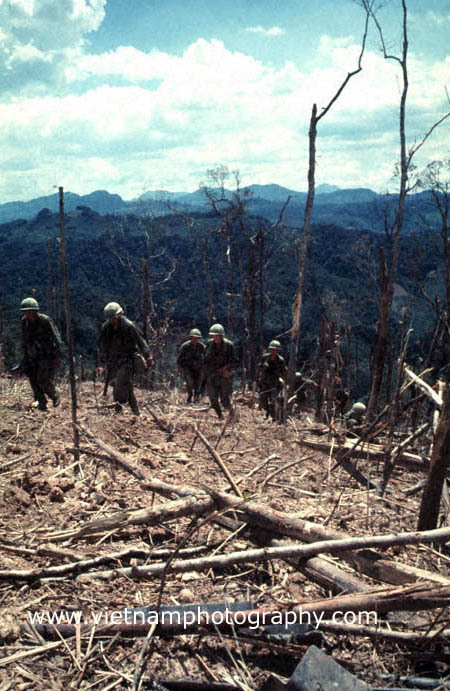 Marines make their way up the bombed out slopes of Hill 881 N in May of 1967. The Hill was one of several strategically imporant hills surrounding Khe Sahn in western Quang Tri Province in Vietnam's I Corps. The hills were occuppied by North Vietnamese (NVA) soldiers. The Marines were from Golf Co., 2nd Battalion, 3rd Marine Regiment, 3rd Marine Division. Capt. 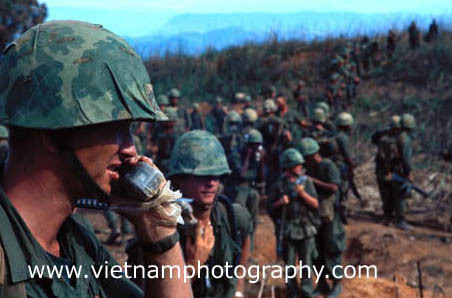 James P. Sheehan talks on the radio just before the final assault on Hill 881 N on April 30, 1967. The Hill was one of several strategically important hills surrounding Khe Sahn in western Quang Tri Province in Vietnam's I Corps. The Marines were from Golf Co., 2nd Battalion, 3rd Marine Regiment, 3rd Marine Division. 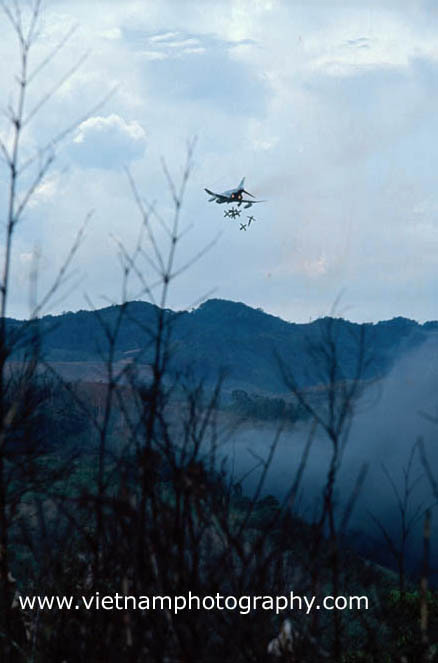 An F-4 Phantom jet bombs the crest of Hill 881s just prior to an assault by Marines. 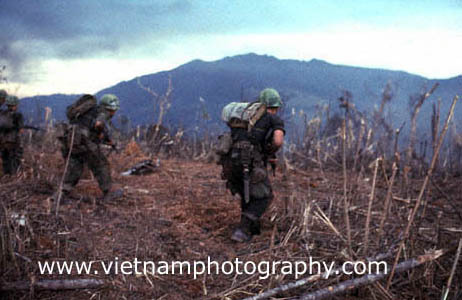 The Hill was one of several strategically imporant hills surrounding Khe Sahn in western Quang Tri Province in Vietnam's I Corps. The Marines were from Golf Co., 2nd Battalion, 3rd Marine Regiment, 3rd Marine Division. 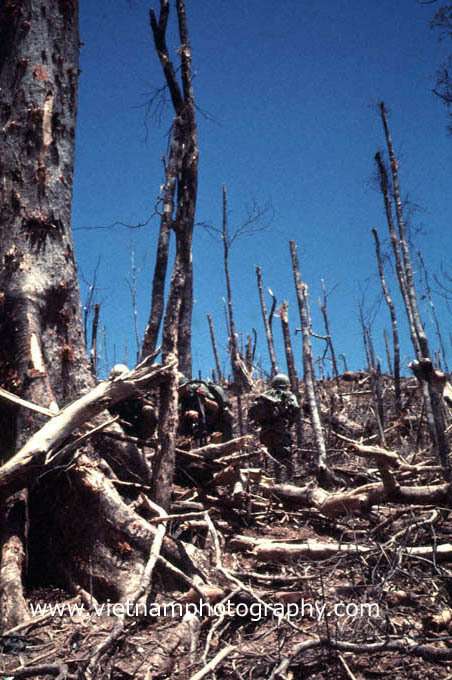 Marines, who thought they had cleared Hill 881 N of North Vietnamese troops, come under fire. 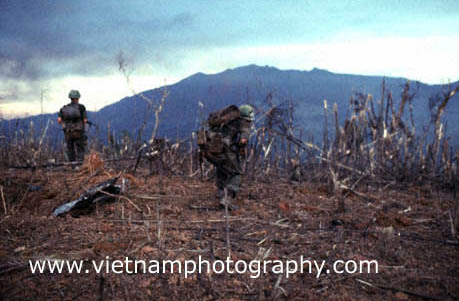 The Hill was one of several strategically imporant hills surrounding Khe Sahn in western Quang Tri Province in Vietnam's I Corps. The fighting took place on April 30, 1967. The Marines were from Golf Co., 2nd Battalion, 3rd Marine Regiment, 3rd Marine Division. 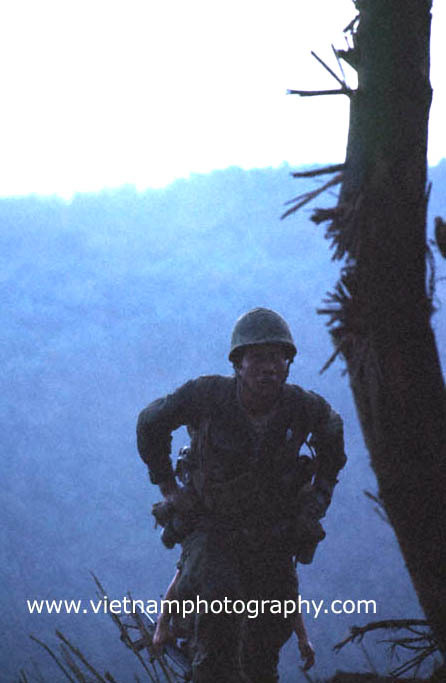 A Marine runs for cover while under fire on the top of Hill 881 N. The Hill was one of several strategically imporant hills surrounding Khe Sahn in western Quang Tri Province in Vietnam's I Corps. The fighting took place on April 30, 1967. 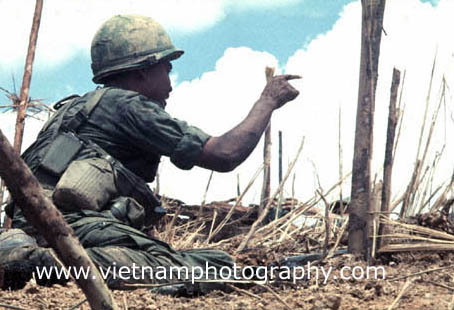 A Marine points out a North Vietnamese Army (NVA) position on the top of Hill 881 N. The Hill was one of several strategically imporant hills surrounding Khe Sahn in western Quang Tri Province in Vietnam's I Corps. The fighting took place on April 30, 1967. 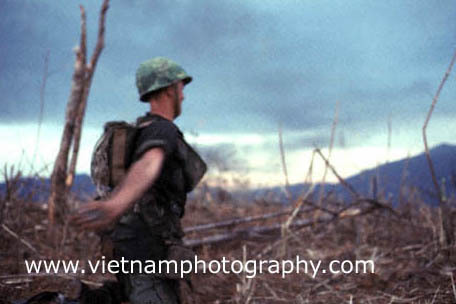 A Marine hurls a grenade at a North Vietnamese Army (NVA) position on the top of Hill 881 N. The Hill was one of several strategically imporant hills surrounding Khe Sahn in western Quang Tri Province in Vietnam's I Corps. The fighting took place on April 30, 1967. The Marines were from Golf Co., 2nd Battalion, 3rd Marine Regiment, 3rd Marine Division. 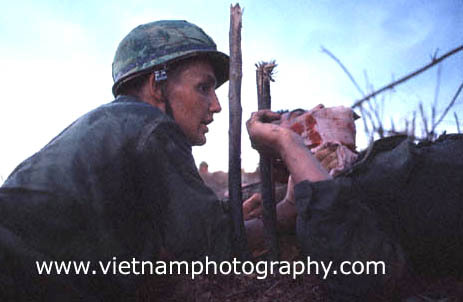 Marine Lt. Pete Hesser drags a mortally wounded Lance Cpl. William Junior "Rock" Roldan, 22, Philadelphia, down from the top Hill 881 N. The Hill was one of several strategically imporant hills surrounding Khe Sahn in western Quang Tri Province in Vietnam's I Corps. 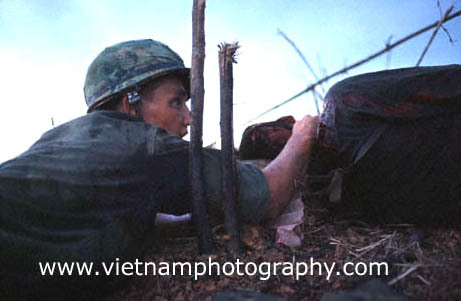 The fighting between the Marines and North Vietnamese Army (NVA) regulars took place on April 30, 1967. The Marines were from Golf Co., 2nd Battalion, 3rd Marine Regiment, 3rd Marine Division. 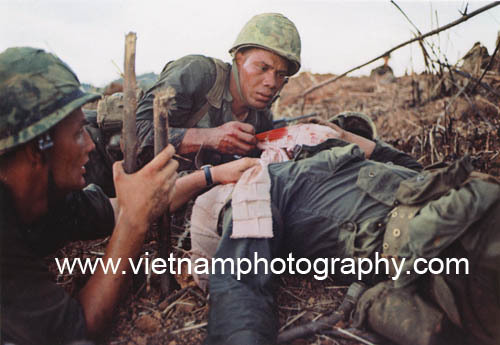 Navy Corpsman David Lewis Boucher,22, Shelbyville, Tenn., helps wounded Pvt. 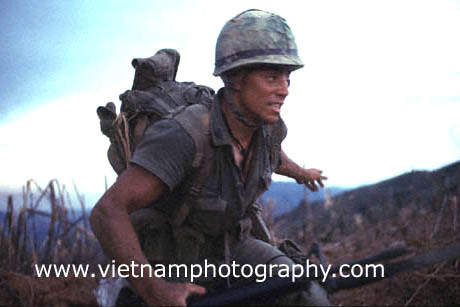 William Vizzerra, 21, Phoenix, Ariz., near the crest of Hill 881 N. The Hill was one of several strategically imporant hills surrounding Khe Sahn in western Quang Tri Province in Vietnam's I Corps. The fighting between the Marines and North Vietnamese Army (NVA) regulars took place on April 30, 1967. Navy corpsman David Lewis Boucher, 22, Shelbyville, Tenn., treats Pvt. William Vizzerra, 21, Phoenix, Ariz., near the crest of Hill 881 N. The Hill was one of several strategically important hills surrounding Khe Sahn in western Quang Tri Province in Vietnam's I Corps. 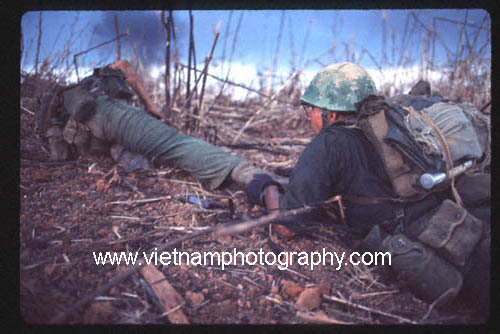 The fighting between the Marines and North Vietnamese Army (NVA) regulars took place on April 30, 1967.